Wallace Mullinax is a Charleston, S.C., based guitarist. He has been a member of Dead 27s, Elise Testone Band and The Reckoning. 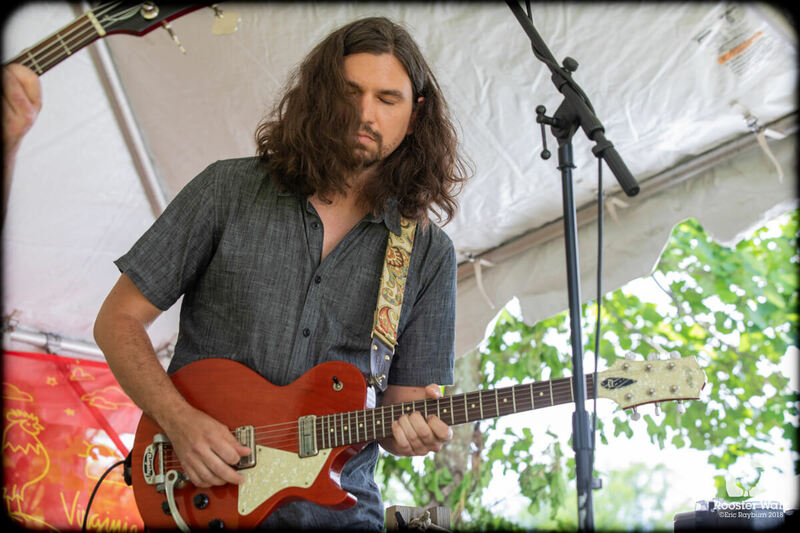 A four-time recipient of Charleston City Paper’s guitarist of the year, Wallace has shared stages with Oteil Burbridge, Darius Rucker, and Kevin Bacon; as well as members of Umphrey’s Mcgee, Marcus King Band, and Galactic. Among these, he recounts opening for B.B. King as a favorite. Wallace‘s hobbies include gardening, fly fishing, cooking, and squirrels. But NOT cooking squirrels. He returns for his second straight Artist at Large role at Rooster Walk. Last year, he sat in with Marcus King Band, Yarn, Dangermuffin, Grass is Dead, Jeff Sipe, Ron Holloway, Josh Shilling, The Trongone Band and many more.